When it comes to thinking about patients as consumers, Michael Yuz, MD, MBA, believes the health care industry is about 50 years behind other industries. However, Yuz, a radiologist and the founder and CEO of USARAD.com, sees that changing and is trying to contribute to the catching-up process. USARAD.com started out as a teleradiology provider, but in May, Yuz launched SecondOpinions.com, which allows patients to get a second opinion on any type of imaging study. SecondOpinions.com draws most of its customers from the United States, but also has several international customers. 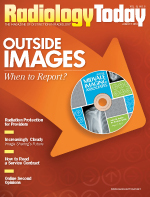 This type of service would have been an anathema to many radiologists just a few years ago, but the tremendous growth of image volumes makes it seem like a reasonable idea today. Yuz cites a recent study by the National Practitioner Data Bank that examined 25 years of malpractice payments and found that diagnostic errors are the leading cause of death from medical errors, estimating that 40,000 to 80,000 Americans die from incorrect diagnoses each year. With many radiologists reading close to 100 studies per day and dealing with frequent interruptions, Yuz believes SecondOpinions.com can help reduce medical errors, thus saving lives and money by putting a second set of eyes on complex imaging exams. Yuz employs 50 board-certified radiologists in all subspecialties as well as a team of IT and Web specialists who helped him build a patient portal. Radiologists are on duty around the clock. To access the portal, patients register on the website then select a specialty. They fill out a short questionnaire for radiological exams and then upload the exam (or exams) from hard drives, CDs, or flash drives. Once the patient uploads the study and pays the fee, ranging from $29 to $99, the study is routed to a radiologist and read within a few hours. The signed radiology report is then sent to the patient’s account, where it is stored indefinitely and protected by the latest encryption technology. The patient receives an e-mail stating that the report is ready and includes a secure link to access it. There’s a how-to video on the website in case patients need help with the process. SecondOpinions.com provides a free consultation between the radiologist who reads the study and the patient’s physician or patients can receive the consultation directly for a fee, although it is strongly recommended that the patient talks to his or her physician about the results. Titova’s mother had an ultrasound that showed a liver mass. A follow-up CT was done on a Friday, but Titova was told that the results wouldn’t be available until the following Tuesday. A SecondOpinions.com radiologist read the study and sent the report that Friday. The scan was negative. Increasingly, patients are expecting this kind of service from their health care providers. As health care begins to shift from a fee-for-service model to an outcomes-based model, radiologists will have to find new ways to bring value to the patient encounter, not only for patients, but for other health care providers as well. Paul J. Chang, MD, FSIIM, a professor of radiology and the vice chair of radiology informatics at the University of Chicago Medical Center, says the emergence of SecondOpinions.com is a natural outgrowth of this need. However, he believes that services like this can and should extend even further. In Chang’s view, services such as SecondOpinions.com need to be integrated into the broader health care system. He says radiology is uniquely positioned to provide advanced consultation to providers and assist them with navigating the complexities of the changing health care system. He sees the coming changes as a big opportunity for radiologists and radiology groups to demonstrate their value, and he expects more companies like SecondOpinions.com to move into the radiology market.